Anyone thinking about having a Hair Transplant MUST READ!!! Home › Forums › Scalp Micropigmentation Forum › Anyone thinking about having a Hair Transplant MUST READ!!! This topic contains 1 reply, has 2 voices, and was last updated by Dave1981 1 year, 4 months ago. 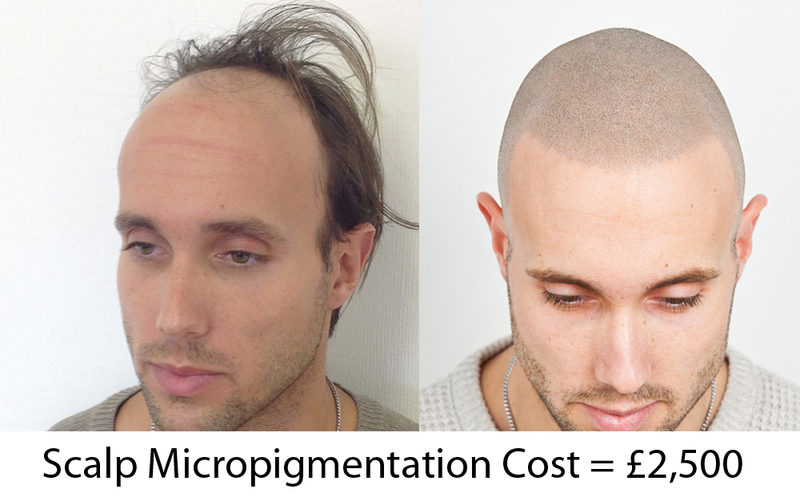 Now we understand the connection between Scalp Micropigmentation and Hair Transplants, obviously they are both a hair loss solution that aims to give the client the look of hair and forget about hair loss. That is the only similarity! In reality only Scalp Micropigmentation will let you forget about hair loss and deliver the results you expect and want. The other one will leave you with scars and maybe 20% of what you expected. I know everyone will be saying were trying to put people off transplants and to come to Skalp instead. You would be 100% right!!! I think the best result we have ever seen from a transplant is probably 40-50% of the expected result. 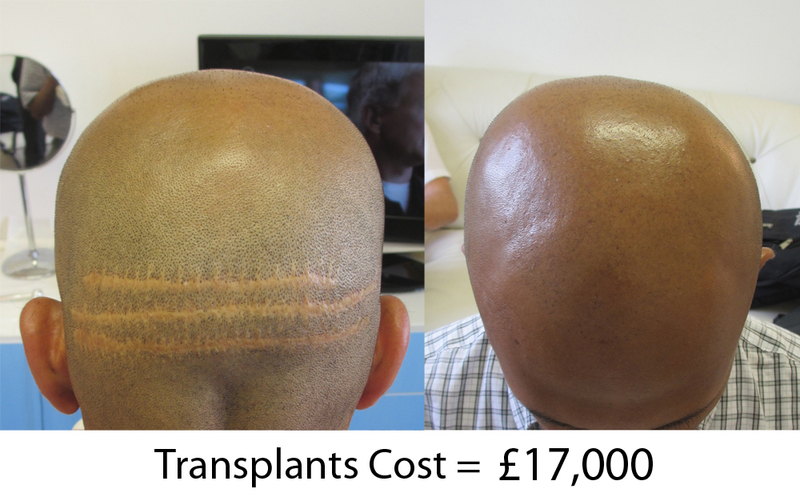 The reason is simple really, with a transplant on average they take 2500 hairs out of the back of your head using FUE (individual hairs) or FUT (the strip). Even if the transplant goes perfectly and you hold on to every hair they implant, you will have 2500 hairs trying to look like 20,000 hairs which is what would be needed to look like the normal density of a head of hair. Obviously it varies on each client, some will need more grafts if they have already lost more hair. But the same applies if they have 4,000 grafts really that bald area would need 40,000 hairs in that area to make it look like full hair. Which is simply impossible as the back of your head would completely bald and covered in scars if they could do a 40,000 hair transplant. Think of it a football stadium that can hold 40,000 people, if they stadium only had 4,000 people in it, it would look very empty. Even if they could get around the numbers problem transplanted hairs don’t grow out in the same direction as natural hair does, they grow out in all directions and the transplanted hair tends to be very wiry (like pubic hair as one client described it to us). We know people are going to say but you see celebrities with great transplant results. NO! If you could actually go up to them and feel their hair and move it around you would see every one would have some form of concealer like nanogen fibres or dermatch in their hair to make it appear thicker. An example is Elton John, he has a net worth of $480 million, obviously concerned about hair loss as he wears a hair system (wig) if transplants existed that were good enough to give the result he wanted he could go to any doctor in the world and say here is $10 million give me the best transplant ever but he doesn’t because a hair transplant that gives the look of a full head of hair does not exist. On the other hand Scalp Micropigmentation doesn’t have a limit of the amounts of hairs we can replicate, Our treatment is simple and effective and when performed by one of our world renowned Skalp practitioners it gives you the result you want and expect every time and you can will forget about hair loss completely. To be honest even if you don’t come to Skalp to have Scalp Micropigmentation we say don’t have a hair transplant regardless. In conclusion, although hair transplants and Scalp Micropigmentation have the same aim, the outcome could not be anymore different. In reply to the original email, our treatment costs from £500 to £2,500 for standard male pattern baldness, our top quote of £2,500 would cover the whole top of your head, recreate your hairline and side profiles and blend into existing hair to cover for future hair loss, the same £2,500 spent on a transplant would give you roughly 500-700 hairs that would cover a few centimetres and would still look very thin in that area. This client paid £17,000 for the 3 Strip transplants and the image on the right shows the result he got from these 3 transplants. Compared to our treatment that covered the same area and cost £2500. You decide what you would prefer.